Clean and shiny Tiles floor looks beautiful, isn’t it? But the problem is cleaning dirty tiles floor often becomes tedious chores. Now a day’s maximum house floor is cover up with tile. 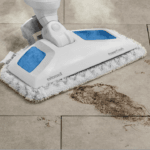 So you need to know how to clean dirty tile floors easily. The main reason behind that is, it’s very easy for maintenance and Tiling to have taken a noticeable place in modern homes. Not only floors but also walls, roof top, balcony, as well. 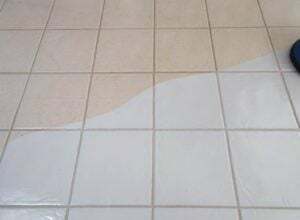 Yes, it’s true that cleaning tiles are not very tough, but the problem occurs when you end up dealing with a shocking mess and stubborn dust. Sometimes Tile grouts turn into the most difficult task to clean. You can use chemical cleaners which is available on the market, but there is another solution you can use for clean tile floors. With some readily available household items and do your cleaning practices more effective and easy going. Here is five best solution that can help you to clean heavy, dirty tile floors clean and to spark. When it is necessary to clean loose dirt and grime from your tiles floor, just use a vacuum cleaner. You will get the benefit. This is very easy and quick solution, to clean-up, any loose dirt, spilled food crumbs, dust or pet hair. You can clean tile floors by brush, but it’s not effective that much because some dirt’s are stubborn to clean by sweeping. 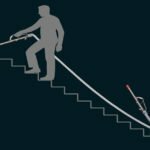 You can attach a hose with your vacuum cleaner when you need to clean a small area. 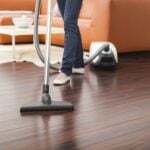 There are lots of vacuum cleaner on the market so you can buy the best vacuum for tile floors which is handy for your house. After reading this article you will know the 5 easiest way about how to clean dirty tile floors easily. `Collect a bucket after that soak the mop with hot water. Wring out the excess water and give a wet mop on the floor. Wring out the excess water and give a wet mop on the floor. Use the dry mop to wipe that floor, or you can use dry hair machine or dry piece of cloth. You may use white vinegar for cleaning purposes. White vinegar is a good natural cleaner and the best alternative to commercial products for daily cleaning. It excellently cleans stains and removes bad smells. If you’re worried by the odor of white vinegar itself, be relax. Automatically the vinegar smell will drive away after some time. Now follow my technique to clean your dirty tile floors. Collect a spray bottle and pour hot water after that equal add amount of white vinegar through the funnel. After that shake, it very well to make the mixture. So your mixture is ready now. Spray this mixture on your deep dirty floor. After that use a dry cotton cloth to wipe your tile floors. Hope you will get clean and shiny floors. Collect a clean small bowl, pour warm water into that bowl. Add two tablespoon baking soda and make a paste. Rub the baking soda paste where you find dirty stubborn stain. Use toothbrush or green sponge to rub the floor. 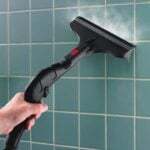 When you want to clean the tile grouts clean it forcibly because the maximum time we see that tile grouts are always filled with old dirt and grime. When you have done with cleaning use a dry cotton cloth to wipe your floor and see the magic. Collect a spray bottle and pour hot water after that equal add amount of rubbing alcohol through the funnel. After that shake, it very well to make the mixture. So your mixture is ready now. 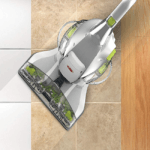 So now you know about how to clean dirty tile floors Easily. Always use rubber gloves when you make homemade mixture and cleaning. Use mask it will protect you from air dust. When you have done with your cleaning wash your hands with liquid antibacterial soap.